Spring is right around the corner! You need this perfect everyday dress. 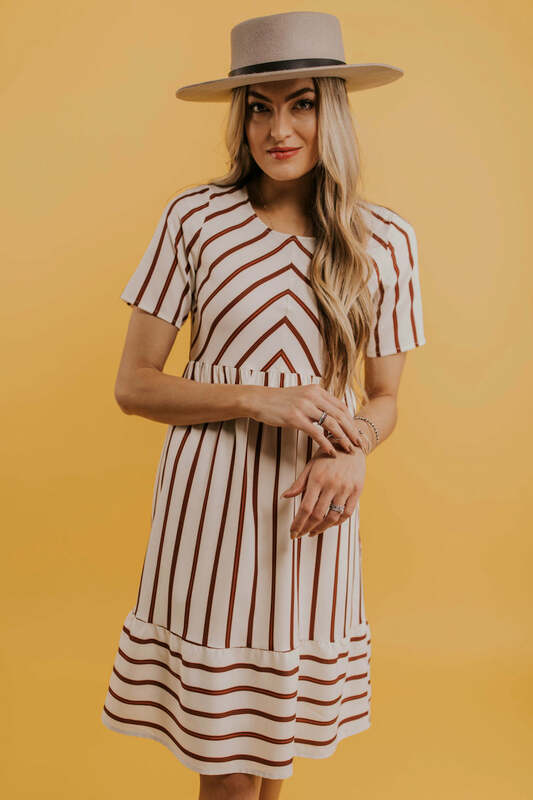 The Janet Scallop Dress features a white knit stripe detail, a crew neckline, hidden side pockets, and a midi fit.